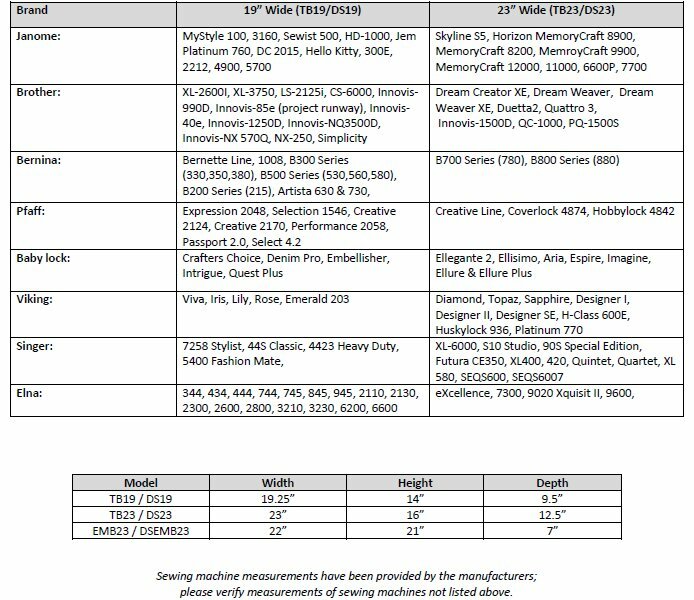 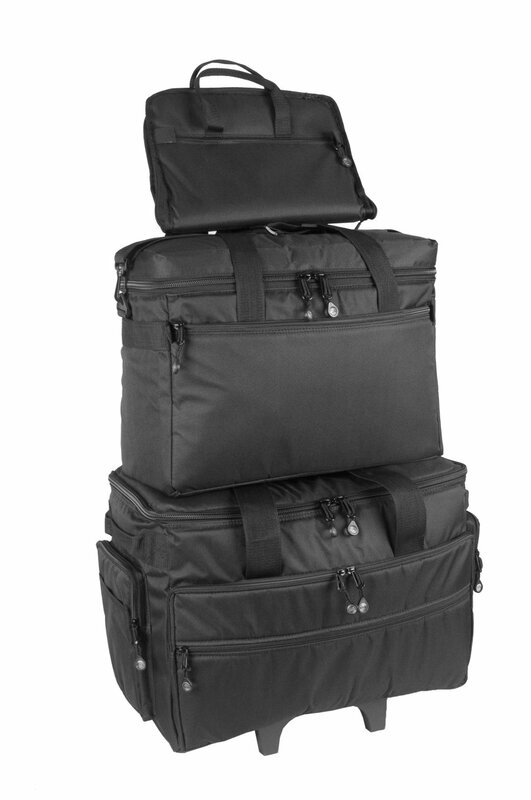 Sizes: 17 1/2 width, 13 1/2 depth, 14 1/2 height. 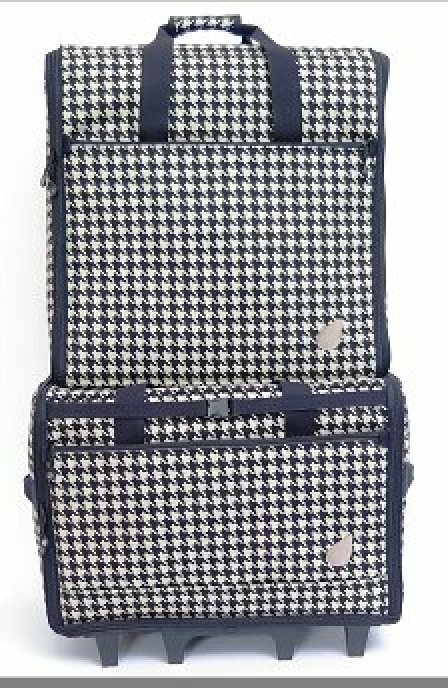 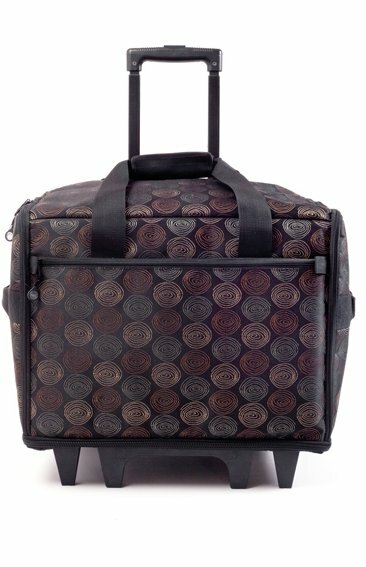 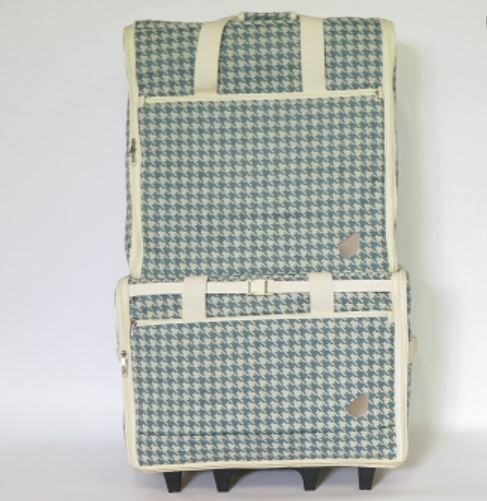 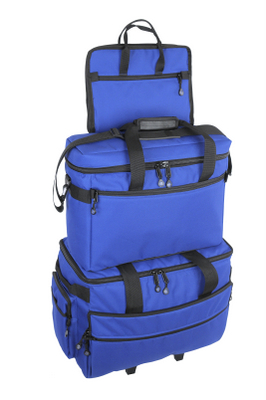 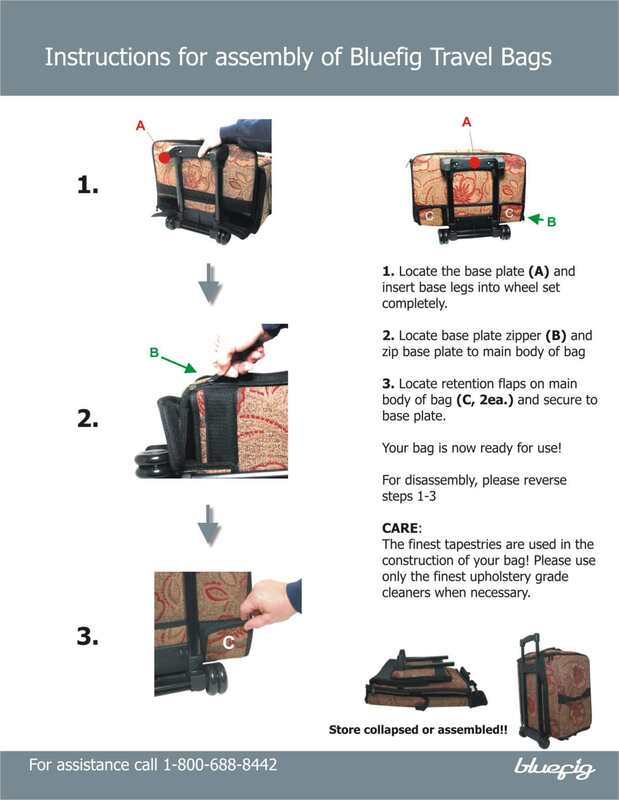 New and packed with upgrades and features, the TB19IM is a beautiful addition to the Bluefig family of wheeled bags. 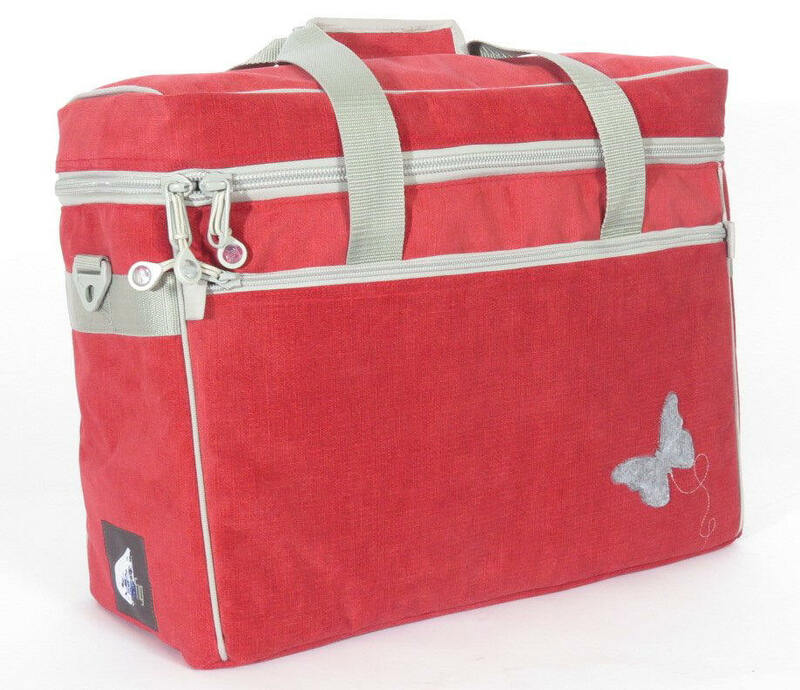 This bag fit about 90% of sewing machine - ALL NORMAL SIZE Machines! 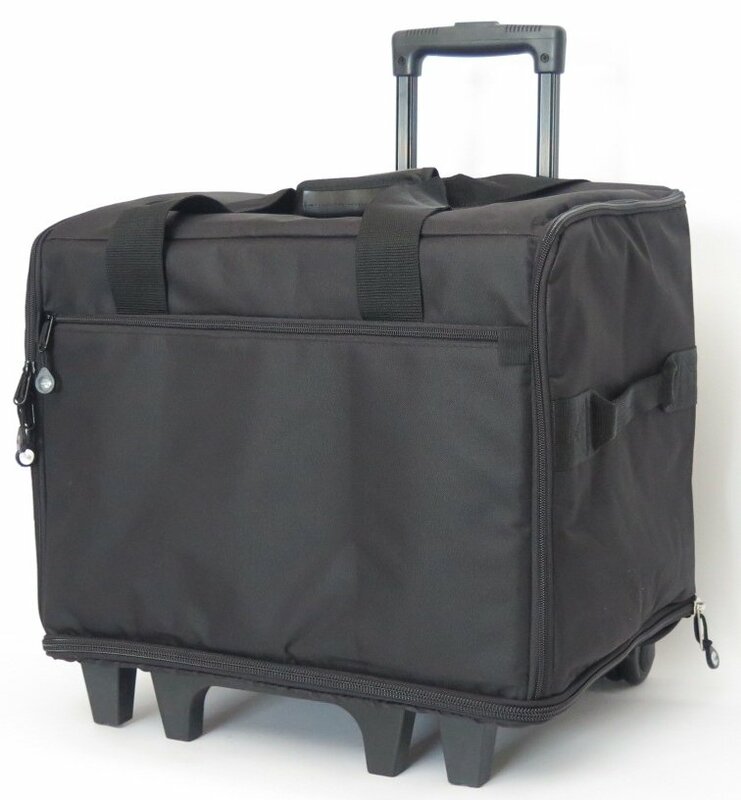 The TB23 wheeled carrier is the largest we make. 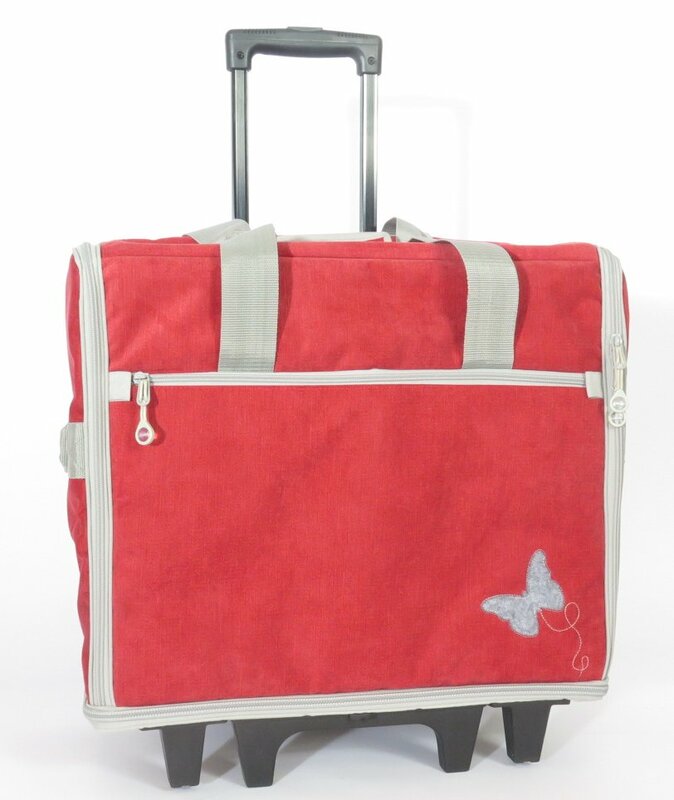 Perfect for the Brother Innovis 4000d, Babylock Elegante, and Babylock Ellisimo! 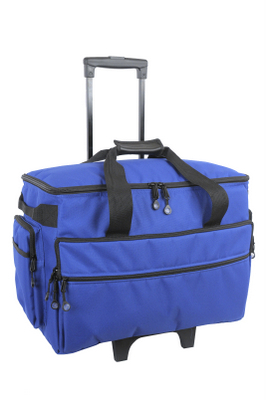 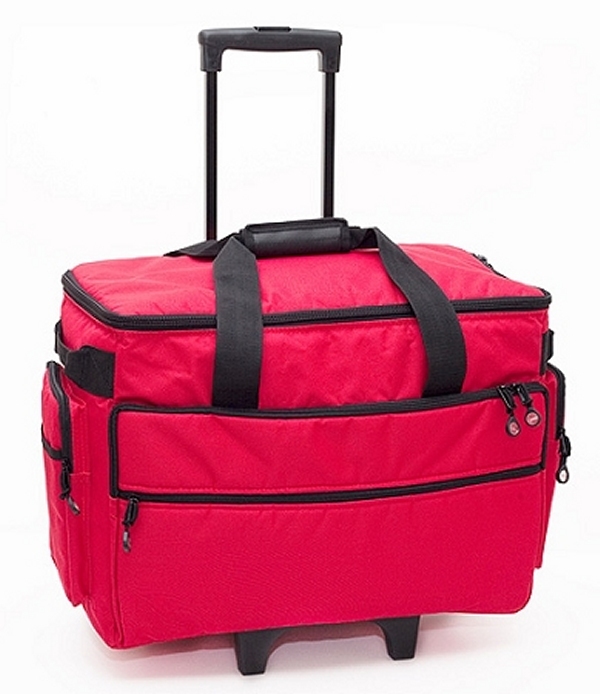 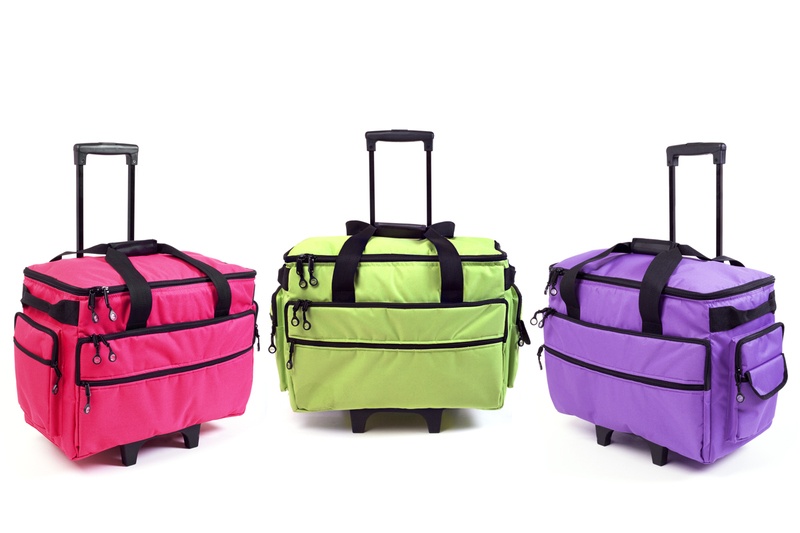 New wide body wheel base makes this an extremely stable bag! 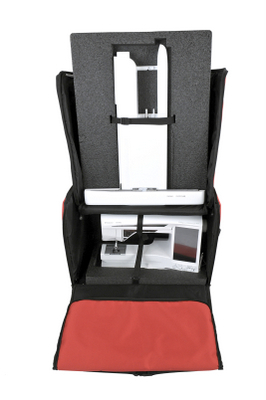 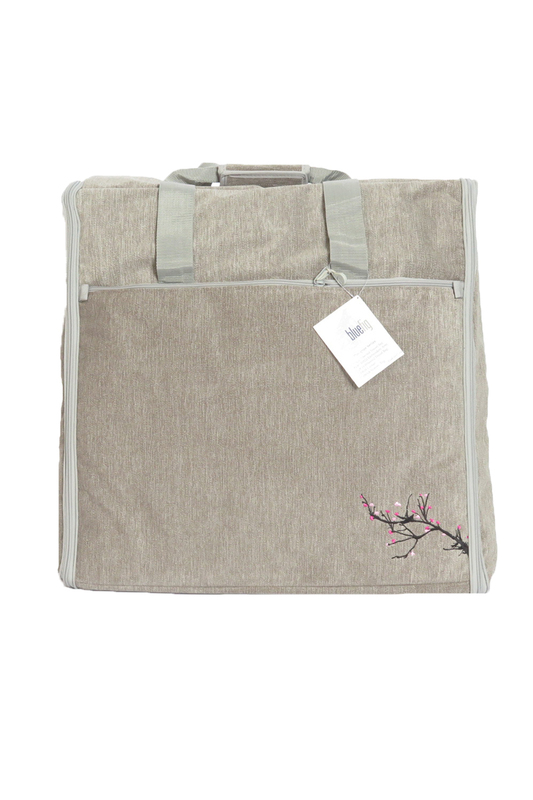 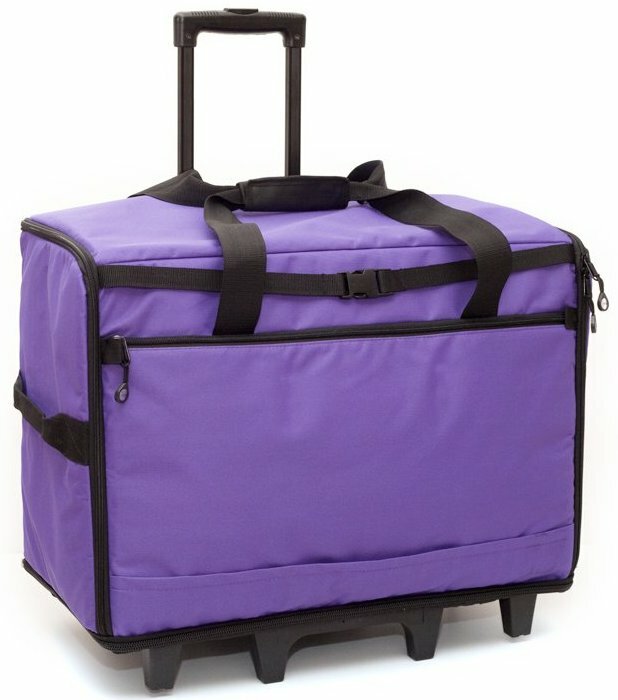 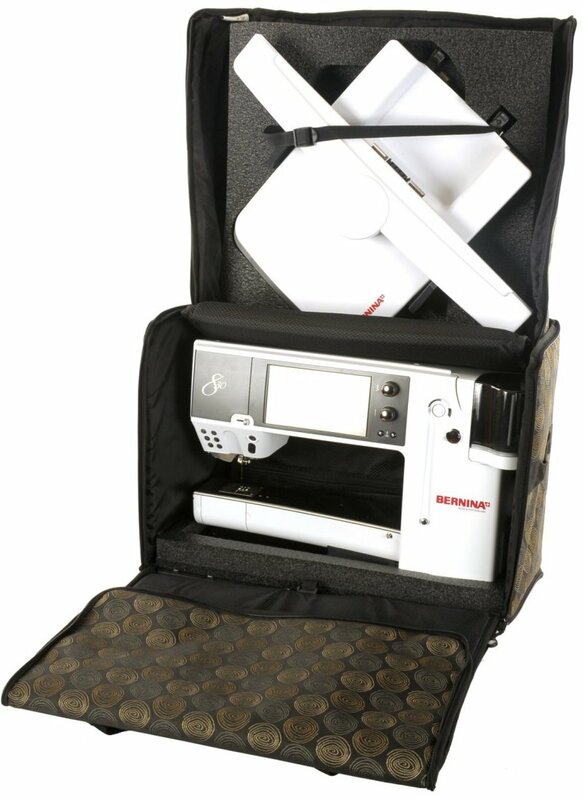 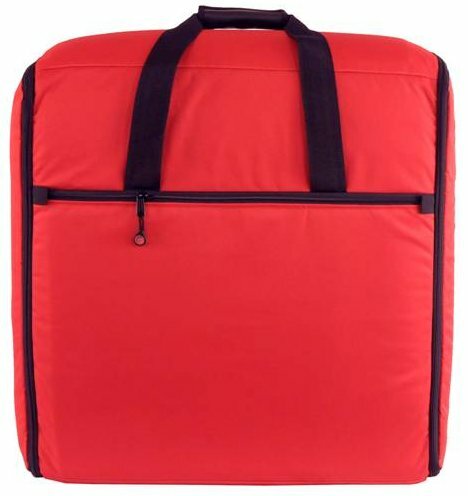 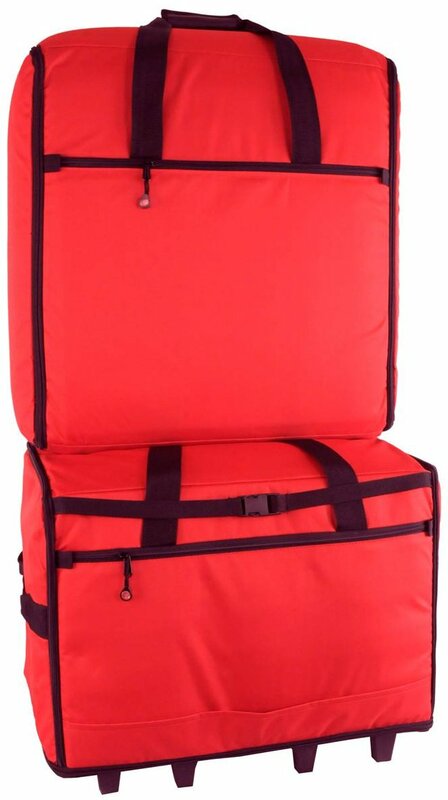 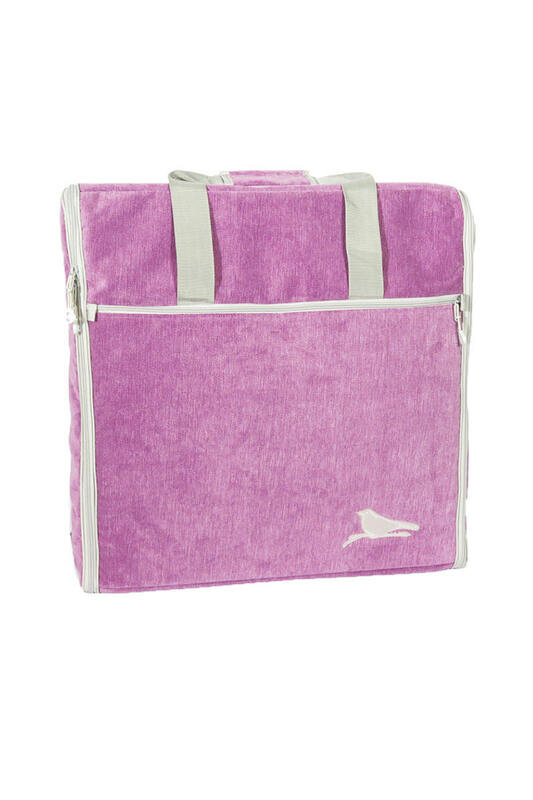 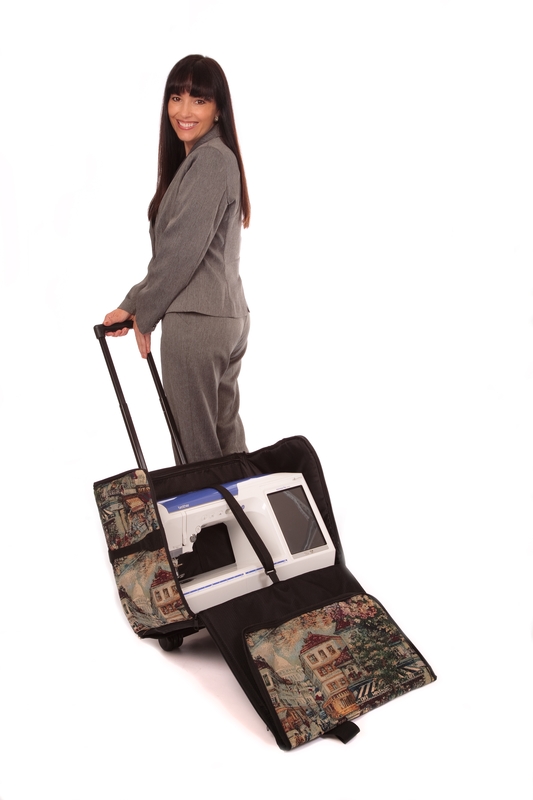 Our 23" Embroidery Arm Carrier is designed to carry LARGE embroidery arms and possibly a project too! 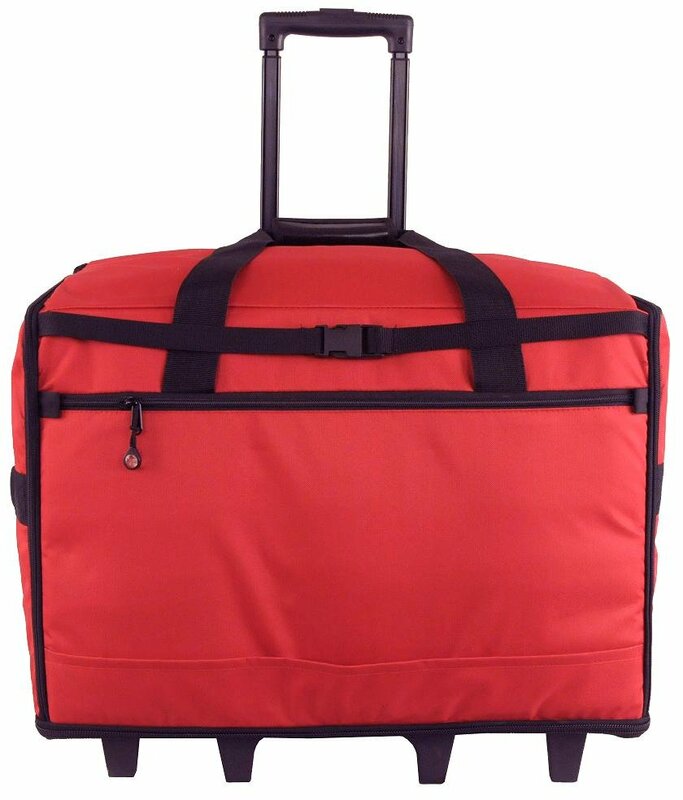 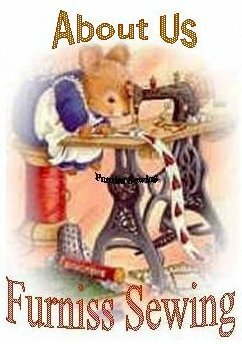 TB19 Wheeled Sewing Machine Tote ( 19w X 9d X 14h ) with 2 zippered pouches, 6 exterior pockets, security strap, 3 stage locking handle-double wheeled ball bearing wheel set.